Great News about Bing Product Ads for WooCommerce, Shopify, BigCommerce & OpenCart site owners! Recently, Bing made some changes in the specifications of Bing Product Ads feeds. These product feed specification changes will leave many bulk sellers who have listed their products in Bing Shopping confused. The causal effect of being unable to stay updated with this change made in Bing Shopping can lead to feed submission errors or even more, it could lead to misrepresentation of products in the bing marketplace. For this reason, we at ExportFeed have taken prompt action to update our free and premium applications that will help you create product feed matching every requirement specified by Bing. 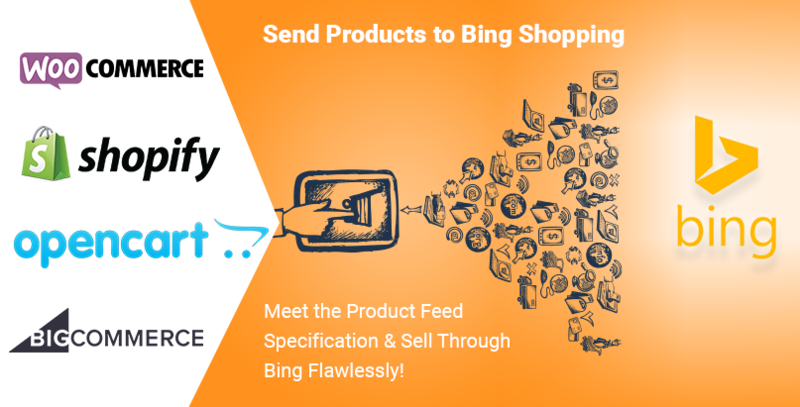 For OpenCart to Bing product feed, you can or any other questions that you may have regarding listing product feeds to Bing, please feel free to let us know.